We at iZenBridge always try our best to educate clients about the possible certification options so that clients can make informed decision . 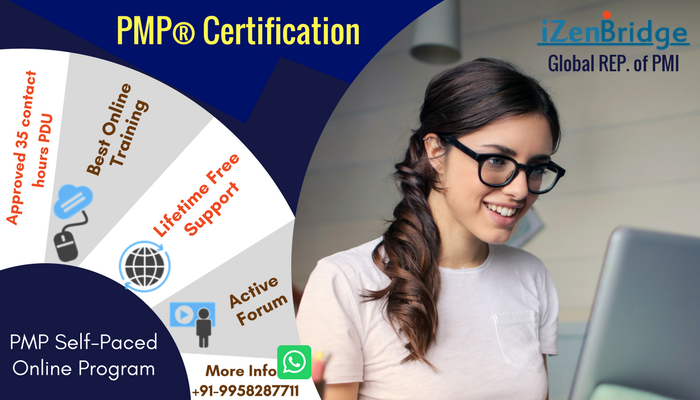 Few months ago PMI has launched Business Analysis Certification and we have been helping clients in getting this certification since PMI started this. Now you can know details about this certification by enrolling to our Free PMI-PBA introductory program, this program will give you good introduction of business analysis and PMI-PBA certificate and you also earn 7 PDUs by completing this program. I just need to know if PMI asks for documentary proof for claiming of 7 PDUs, which document / reference do I need to reproduce? Please enlighten me on this matter. Seems like activity IZDLPBAIN is no more listing in pmi portal. All I see is "iZenBridge - PMI-PBA Introductory Classroom Course"
It gives 8 PDU's . Could you please advise if I am looking at correct "activity name"
You can report PDUs under course and training. You just need to type "IZDLPBAIN" in the Activity TextBox. PMI will accept it. You are also needed to provide PDUS breakdown for leadership, Technical and Strategic category. For your reference, I am enclosing the screen shots for reporting the PDU. Can you please ask PMI to look into and fix for PMI PBA introductory program in CCRS.? as they did for pmi acp intro program. I am following up with the PMI. I underwent this introductory program and have seen all the videos as well as successfully cleared the quiz. 1. Hopefully this means I have completed the course, but strangely I haven't received any notification nor any acknowledgement that the course is completed. Can you please tell how to verify that the course is done ? 2. I created a login by myself on the http://www.pmi.org/ and followed the steps mentioned in the pdf in the introductory course, but am unable to report the SEUs. Can you assist me with this ? Yes, you can use these 7 PDUs in CCRS of your PMP. Also, you need to earn 35 contact hours for doing PMI-PBA. BTW: As per the WhatsApp discussion, I have sent you PMI-PBA course details.